Hello! 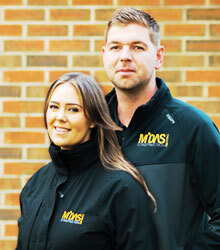 We’re Jason and Jessica Marshall and we extend to you a very warm welcome to Midas Construction. We are an award-winning design-and-build company that prides itself on putting you, our customer, at the heart of everything. We hope your experience on this visit will prompt you to learn more about how we can help you achieve your own project’s vision. Whether you’re looking to extend your home, renovate a school or redesign your commercial premises, Midas Construction can tailor a service that will guarantee satisfaction and maximise your investment for the future.